Asthma is an inflammatory disorder of the airways which causes shortness of breath and ‘wheezing’. Its severity can range from mild, with only occasional symptoms, to a severe and life-threatening condition. Symptoms will vary from person to person, some people may experience all of the symptoms, others may only have one or two. The prevalence of asthma has increased dramatically in the last 50 years. It is estimated that 9% of the UK population and 7% of the US population suffer from asthma. The numbers are highest among children and decrease with age. During an asthma attack, the muscles surrounding the airways constrict, reducing the space for air to pass through. The lining of the airways often becomes inflamed and swollen, making the problem worse. Phlegm or mucus may also build up, further narrowing the space. How do you get an asthma attack? There is no cure for asthma, but it can usually be controlled quite effectively with medication. The majority of asthma sufferers will use one or two inhalers on a daily basis. A ‘reliever’ inhaler is used when the symptoms of an asthma attack start to appear, to prevent them from worsening. They are usually blue in colour and contain a ‘bronchodilator’ which relaxes the airways. 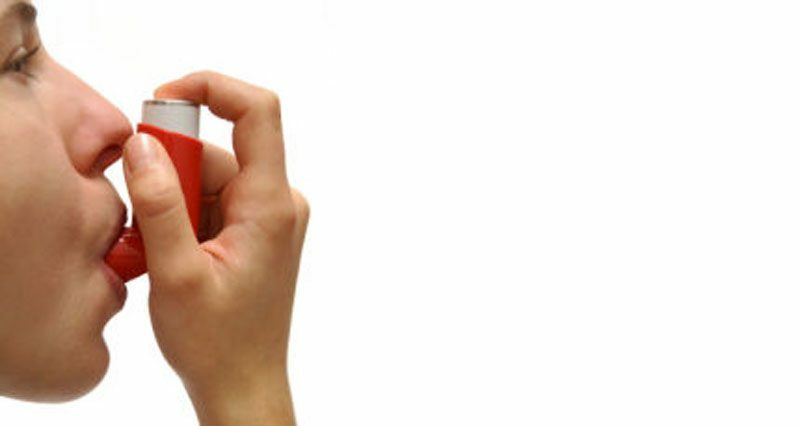 A ‘preventer’ inhaler is used on a daily basis to prevent the symptoms of asthma occurring. Most people will use these 2-3 times a day and they must be used regularly as the preventative effect builds up over time. They will not help in the event of asthma symptoms, instead, they help to decrease long-term inflammation as they usually contain a form of steroids. Preventer inhalers vary in colour, from brown to red or orange. Inhalers come in varying strengths and with different medications inside, some are more suitable for mild cases and others for more severe cases. If you are taking your preventer medication as prescribed but still have to use the reliever inhaler more than 3 times a week, you should visit your Doctor to discuss changing your medication. There are other forms of inhaler available for more difficult to control cases, known as long-acting reliever inhalers. The effects of these are more long-lasting than normal reliever inhalers and should still be used alongside a preventer inhaler. Another option is known as a combined inhaler, which contains both preventer and reliever medication. Other options include tablet form medications, such as Leukotriene receptor antagonists and Theophylline. As already discussed, exercise can be a trigger for asthma. If exercise is the only trigger for an individuals symptoms, then it is often termed ‘Exercise-Induced Asthma’ (EIA) or ‘Exercise-Induced Bronchospasm’ (EIB). Exercise is thought to trigger asthma due to the increased rate of breathing, meaning more water evaporates from the linings of the airways. It often occurs that in the first few minutes of exercise, the athlete is symptom-free. It is only once intensity decreases, or the athlete stops altogether that symptoms appear. This is most common in those where exercise is the only trigger. EIA is usually treated in the same way as normal asthma, where the individual uses a reliever inhaler 10-20 minutes prior to exercise. For serious athletes, there are many investigative procedures which can be used to determine the severity and cause of the problem, as well as the best form of treatment. Athletes must be careful that their choice of medication is not on the banned substance list for their sport. In most cases, asthma medication is permitted, although the athlete may be required to obtain a Therapeutic Use Exemption (TUE) certificate. If there is no immediate improvement, take one puff of your inhaler every minute for 5 minutes. If symptoms still don’t improve, call your Doctor, or the emergency services. Once help arrives in the form of your Doctor or an ambulance, you may be given a different form of treatment, such as beta-2-agonists via a nebuliser (a machine that sprays a mist of medication into a facemask) or corticosteroids via injection or intravenously. Magnesium can also be administered intravenously in severe cases. Following an attack, a course of oral steroids is often prescribed. You should always make an appointment with your Doctor following an attack (whether you are hospitalised or not) to discuss changes to your medication.